↑ Sarah Anne Hughes. 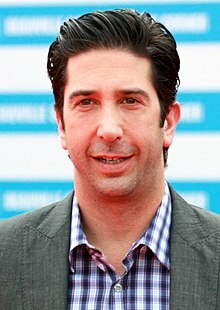 David Schwimmer and wife welcome baby girl, The Washington Post (23 мая 2011). Проверено 23 мая 2011. ↑ David Schwimmer, Wife Zoe Buckman Taking 'Some Time Apart' (англ. ), Us Weekly (5 апреля 2017). Проверено 26 октября 2017.